Is Very High HDL Good for You? 1. Williams JK, Bellinger DA, Nichols TC, et al. Occlusive arterial thrombosis in cynomolgus monkeys with varying plasma concentrations of lipoprotein(a). Arterioscler Thromb. 1993;13(4):548-554. 2. Enas EA, Chacko V, Senthilkumar A, Puthumana N, Mohan V. Elevated lipoprotein(a)–a genetic risk factor for premature vascular disease in people with and without standard risk factors: a review. Dis Mon. Jan 2006;52(1):5-50. 3. Pepin JM, O’Neil JA, Hoff HF. Quantification of apo[a] and apoB in human atherosclerotic lesions. Journal of lipid research. Feb 1991;32(2):317-327. 4. Kreuzer J, Lloyd MB, Bok D, et al. Lipoprotein (a) displays increased accumulation compared with low-density lipoprotein in the murine arterial wall. Chem Phys Lipids. Jan 1994;67-68:175-190. 5. Kim C, Gau GT, Allison TG. Relation of high lipoprotein(a) to other traditional atherosclerotic risk factors in patients with coronary heart disease. Am J Cardiol. Jun 1 2003;91(11):1360-1363. 6. Fischer S., Julius U, Bergmann S, Hohensee H, Bornstein SR, Strasser RH. [Severe progression of coronary heart disease in a patient with elevated lipoprotein (a) level in spite of optimal LDL-C decrease]. Herz. Oct 2007;32(7):578-582. 7. Morita Y, Himeno H, Yakuwa H, Usui T. Serum lipoprotein(a) level and clinical coronary stenosis progression in patients with myocardial infarction: re-revascularization rate is high in patients with high-Lp(a). Circ J. Feb 2006;70(2):156-162. 8. Khouzam RN, Dahiya R, Schwartz R. A heart with 67 stents. J Am Coll Cardiol. Nov 2 2010;56(19):1605. 9. Hearn JA, DeMaio SJ, Jr., Roubin GS, Hammarstrom M, Sgoutas D. Predictive value of lipoprotein (a) and other serum lipoproteins in the angiographic diagnosis of coronary artery disease. Am J Cardiol. 1990;66(17):1176-1180. 10. Yamamoto H, Imazu M, Yamabe T, Ueda H, Hattori Y, Yamakido M. Risk factors for restenosis after percutaneous transluminal coronary angioplasty: role of lipoprotein (a). Am Heart J. 1995;130(6):1168-1173. 11. Miyata M, Biro S, Arima S, et al. High serum concentration of lipoprotein(a) is a risk factor for restenosis after percutaneous transluminal coronary angioplasty in Japanese patients with single-vessel disease. Am Heart J. 1996;132(2 Pt 1):269-273. 12. Desmarais RL, Sarembock IJ, Ayers CR, Vernon SM, Powers ER, Gimple LW. Elevated serum lipoprotein(a) is a risk factor for clinical recurrence after coronary balloon angioplasty. Circulation. Mar 1 1995;91(5):1403-1409. 13. Chiarugi L, Prisco D, Antonucci E, et al. Lipoprotein (a) and anticardiolipin antibodies are risk factors for clinically relevant restenosis after elective balloon percutaneous transluminal coronary angioplasty. Atherosclerosis. 2001;154(1):129-135. 14. Giovanetti F., Gargiulo M, Laghi L, et al. Lipoprotein(a) and other serum lipid subfractions influencing primary patency after infrainguinal percutaneous transluminal angioplasty. J Endovasc Ther. Jun 2009;16(3):389-396. 15. Maca TH, Ahmadi R, Derfler K, et al. Influence of lipoprotein(a) on restenosis after femoropopliteal percutaneous transluminal angioplasty in Type 2 diabetic patients. Diabet Med. Apr 2002;19(4):300-306. 16. Shah PK, Amin J. Low high density lipoprotein level is associated with increased restenosis rate after coronary angioplasty. Circulation. 1992;85(4):1279-1285. 17. Enas EA. 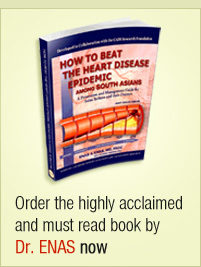 Lipoprotein(a) is an important genetic risk factor for coronary artery disease in Asian Indians. Am J Cardiol. 2001;88:201-202. 18. Stubbs P, Seed M, Lane D, Collinson P, Kendall F, Noble M. Lipoprotein(a) as a risk predictor for cardiac mortality in patients with acute coronary syndromes. Eur Heart J. 1998;19(9):1355-1364. 19. Igarashi Y, Aizawa Y, Satoh T, Konno T, Ojima K. Predictors of adverse long-term outcome in acute myocardial infarction patients undergoing primary percutaneous transluminal coronary angioplasty: with special reference to the admission concentration of lipoprotein (a). Circ J. Jul 2003;67(7):605-611. 20. Zairis MN, Ambrose JA, Manousakis SJ, et al. The impact of plasma levels of C-reactive protein, lipoprotein (a) and homocysteine on the long-term prognosis after successful coronary stenting. The global evaluation of new events and restenosis after stent implantation study. J Am Coll Cardiol. 2002;40(8):1375. 21. Daida GH, Lee YJ, Yokoi H, et al. Prevention of restenosis after percutaneous transluminal coronary angioplasty by reducing lipoprotein (a) levels with low-density lipoprotein apheresis. Low-Density Lipoprotein Apheresis Angioplasty Restenosis Trial (L-ART) Group. Am J Cardiol. 1994;73(15):1037-1040. 22. Yamaguchi H, Lee YJ, Daida H, et al. Effectiveness of LDL-apheresis in preventing restenosis after percutaneous transluminal coronary angioplasty (PTCA): LDL-apheresis angioplasty restenosis trial (L-ART). Chem Phys Lipids. 1994;67-68:399-403. 23. 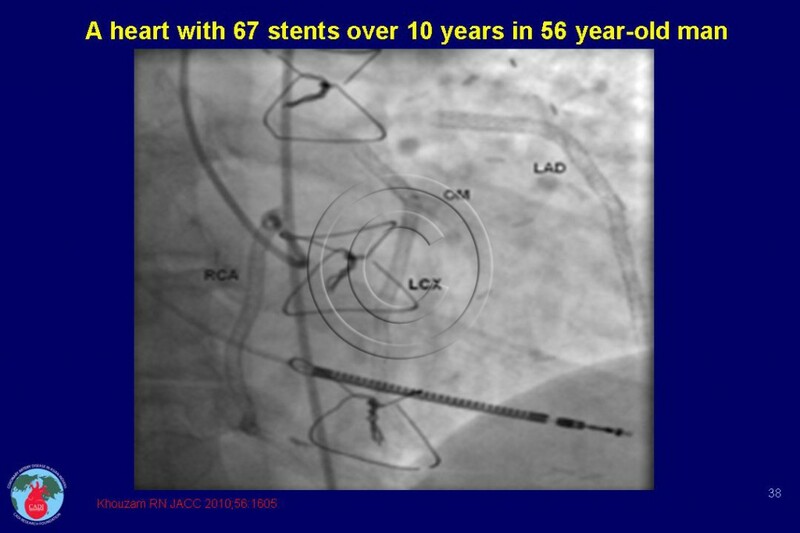 Adachi H, Niwa A, Shinoda T. Prevention of restenosis after coronary angioplasty with low-density lipoprotein apheresis. Artif Organs. Dec 1995;19(12):1243-1247. 24. Cushing GL, Gaubatz JW, Nava ML, et al. Quantitation and localization of apolipoproteins [a] and B in coronary artery bypass vein grafts resected at re-operation. Arteriosclerosis. 1989;9(5):593-603. 25. Rath M, Niendorf A, Reblin T, Dietel M, Krebber HJ, Beisiegel U. Detection and quantification of lipoprotein(a) in the arterial wall of 107 coronary bypass patients. Arteriosclerosis. 1989;9(5):579-592. 26. Hoff HF, Beck G, Skibinski C, et al. Serum Lp(a) level as a predictor of vein graft stenosis after coronary artery bypass surgery in patients. Circulation. 1988;77(6):1238-1244. 27. Pokrovsky S. N., Ezhov MV, Il’ina LN, et al. Association of lipoprotein(a) excess with early vein graft occlusions in middle-aged men undergoing coronary artery bypass surgery. J Thorac Cardiovasc Surg. Oct 2003;126(4):1071-1075. Disclaimer : Please note that the content on CADI Research Foundation attempts to define practices that meet the needs of most patients in most circumstances. However, everyone is unique, and the extent to which the information applies specifically to you should be a key point of discussion between you and your cardiologist or health care provider. The ultimate judgment regarding your care must be made by you and your healthcare provider together, in light of circumstances specific to you as a patient.